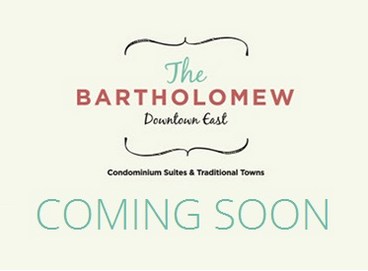 The Bartholomew Condos & Towns Launching Spring 2015! 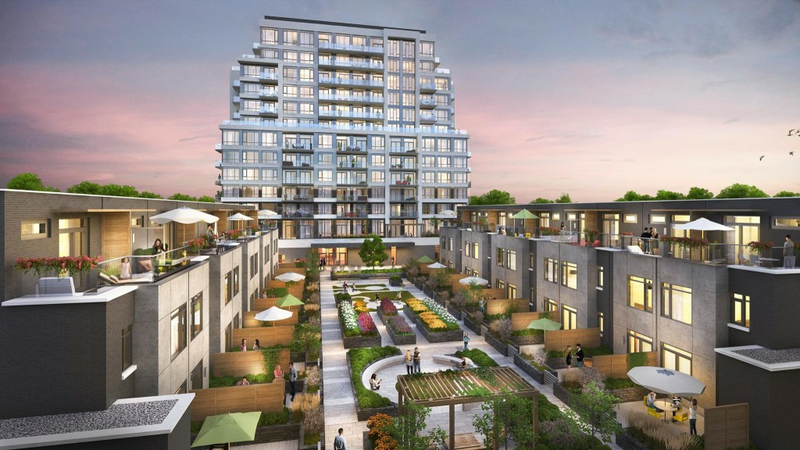 The Bartholomew is a new condo and townhouse development by The Daniels Corporation currently in pre-construction at Dundas Street East & Regent Street in Toronto, Ontario. 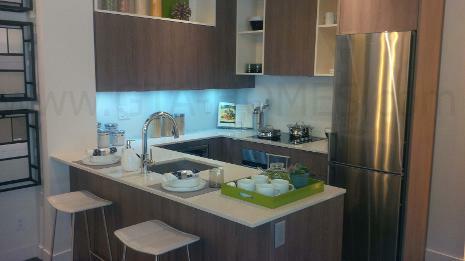 Sales for available condominium units start in the low $200,000's and townhouses start in the mid $500,000's. With over two decades of building quality homes, spectacular condominiums and apartments throughout the Greater Toronto Area, the award-winning Daniels Corporation has developed many master-planned communities and other projects such as the TIFF Bell Lightbox which is the new home of The Toronto International Film Festival Group and the Festival Tower which is an elegant residential tower above the Bell Lightbox. They are also partnering up with the Toronto Community Housing to carry out the substantial revitalization of Regent Park, a 69 acres community in east downtown Toronto. 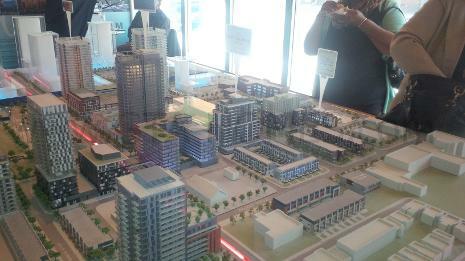 They have developed more than 24,000 homes and apartments throughout the Greater Toronto Area. "The Daniels Corporation brings integrity, creativity and vision to every community we build. You see our commitment to excellence in every exquisite detail." The award-winning Quadrangle Architects Limited is a Toronto based firm employing over 100 architects that was founded in 1986. They have "high-profile clients in media, hospitality, retail and other sectors, as well as leading developers of multi-unit residential projects". Quadrangle Architects Limited is an industry leader because "what everyone at Quadrangle shares in common is a passion for innovative design thinking that meets the real-world challenges of our clients." Together, The Daniels Corporation and Quadrangle Architects will design and construct The Bartholomew Condominium Suites and Traditional Towns in the master-planned Regent Park community launching soon in Spring of 2015. Register with us today for more information on The Bartholomew by The Daniels Corporation! Register today for the Floor Plans and Price List. Please call or click the Register Now button in order to register with us to receive updated information and for future Sales Event for this project.